We have been fortunate enough to interview Ray 'Dr. 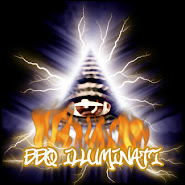 BBQ' Lampe in the past (click here for interview). Ray is a competitor, lecturer, teacher, author and pitmaster for Southern Hospitality in Manhattan. We have reviewed a number of Ray's books and I'm sure that we will review more as they are published. I hope that you enjoy the 5 minute glimpse into the life of a BBQ professional.